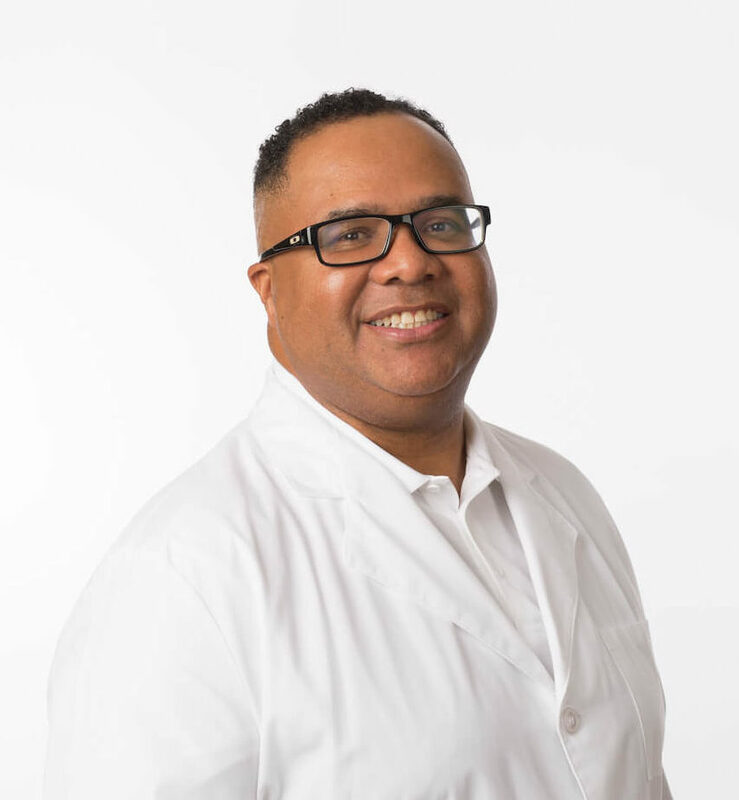 Dr. Darren R. Cross grew up in Cambria Heights, New York. He majored in Pre-Med at the University of Virginia in Charlottesville, VA. His Bachelor of Science degree was received from Jacksonville University in Jacksonville, Florida. His Doctor of Dental Surgery (D.D.S.) degree was obtained from Howard University College of Dentistry in Washington, D.C. and his certificate in Oral and Maxillofacial Surgery (OMFS) was awarded from Howard University Hospital. He was also named Chief Resident of Oral and Maxillofacial Surgery at Howard University, District of Columbia and Veterans Administration Hospitals in Washington, D.C. Afterward, he received his Doctor of Medicine (M.D.) degree from the University of Health Sciences Antigua School of Medicine in St. John, West Indies. Dr. Cross is a visiting NC Oral Surgery + Orthodontics (NCOSO) Oral Surgeon. Visit the NCOSO website to learn more. Obtained his Doctor of Dental Surgery (DDS) degree from Howard University College of Dentistry and his certificate in Oral and Maxillofacial Surgery (OMFS) was awarded from Howard University Hospital. Joined Lane & Associates Family Dentistry as a visiting NCOSO Oral Surgeon in multiple locations.